The employee departures have come around the same time that Vine hired a new general manager, Hannah Donovan. People who have jumped ship include the head of engineering, head of user experience, head of data science, editorial head, and head of business development—all of which are some pretty senior roles. Even more ominously, the user base is no longer growing. According to comScore, Vine reached 24 million people in May, down from 30 million in May a year ago. This is more bad news for Vine’s parent, Twitter, which has been dealing with the loss of its own execs and fierce competition from other social-media apps. Facebook, while no longer cool, is still raking in the cash. Just this June, Snapchat surpassed Twitter’s 140 million daily active users. Snapchat is the prettiest girl in the room now and just raking in the cash, which Twitter still hasn’t turned a profit after a decade. A Twitter spokesperson said that Vine is “an important part of our strategy” and that the company is focused on recruiting more leadership. But things don’t look too optimistic. 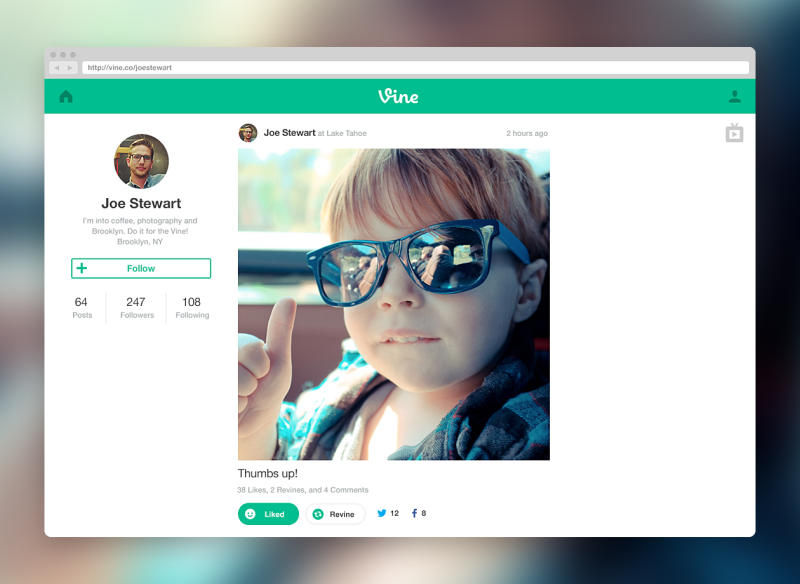 At the height of its popularity, Vine was one of the most accessible video services. But with video on Instagram, Facebook Live taking over everything and Snapchat being a very similar service, it’ll be much harder to reclaim that throne.